Thomas Muir, the son of a hop merchant, was born in Glasgow on 25th August 1765. He began attending Glasgow Grammar School in 1770 and at the age of ten was admitted to Glasgow University. Thomas Muir's parents were Calvinists and at their request he embarked upon the study of divinity. However, in 1782 he abandoned his studies for the Church and began attending the classes of John Millar, one of Britain's first sociologists. Millar was a republican and a supporter of parliamentary reform and had a profound influence on the development of Muir's political ideas. In 1783 Thomas Muir became involved in a conflict with the Principal of Glasgow University when he organised a petition against the suspension of Professor John Anderson. As a result of his campaign to have Anderson reinstated, Muir was expelled from the university. With the help of Millar, Muir finished his studies at Edinburgh University and entered the Faculty of Advocates in 1787. Muir soon developed a reputation as a lawyer who was willing to appear in court on behalf of poor clients who could not afford to pay a fee. He also became a fierce critic of a legal system that he believed was biased in favour of the rich. 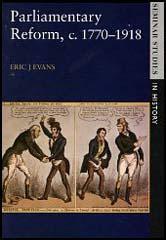 The French Revolution in 1789 inspired supporters of parliamentary reform all over Britain. Young members of the Whigs in London formed the Society of the Friends of the People in April 1792. Groups were soon formed in other parts of Britain and on 26th July 1792, Thomas Muir and William Skirving established the Scottish Association of the Friends of the People. Branches were formed in Perth, Dundee, Glasgow and Edinburgh. By November there were eighty-seven branches of the Society of Friends in Britain. Thomas Muir now began to organize a General Convention of these Societies in order to develop a strategy for the achievement of parliamentary reform. The British government became concerned about Thomas Muir and a spy was recruited to gather information about his political activities. After the spy had gathered what was considered enough evidence, Thomas Muir was arrested on 2nd January, 1793, and charged with sedition. After being interrogated for several hours he was released on bail. Muir now travelled to London where he had talks with the leaders of the Friends of the People. The leaders of the movement were concerned about the violence taking place in France. Muir agreed to go to France and join Tom Paine in his attempts to persuade the leaders of the revolution to abandon the plan to execute Louis XVI. Muir was unsuccessful and after having talks with the Girondist leaders, he returned to Scotland on 23rd August. The following day Muir was arrested and after being imprisoned in Edinburgh was tried for sedition before Lord Braxfield and a hand-picked jury of anti-reformers. Muir was found guilty and sentenced to fourteen years' transportation. Afraid that Scottish reformers would attempt to rescue Muir, he was quickly removed to London. Soon afterwards he was joined by other leaders of the movement, Fyshe Palmer, William Skriving and Maurice Margarot. Radicals in the House of Commons immediately began a campaign to save the men now being described as the Scottish Martyrs. On 24th February, 1793, Richard Sheridan presented a petition to Parliament that described the men's treatment as "illegal, unjust, oppressive and unconstitutional". Charles Fox pointed out in the debate that followed that Palmer had done "no more than what had done by William Pitt (now Prime Minister of Britain) and the Duke of Richmond" when they campaigned for parliamentary reform. Attempts to stop the men being transported failed and on 2nd May 1794, The Surprise left Portsmouth and began its 13,000 mile journey to Botany Bay. The men arrived on 25th October to join the Colony of 1,908 convicts (1362 male, 546 female). As a political prisoner, Muir was given more freedom than most convicts and he was allowed to buy a small farm close to Sydney Cove. After two years at Port Jackson, New South Wales, Thomas Muir escaped with the help of Francis Peron, the chief mate of the American ship, the Otter of Boston. Muir reached Vancouver Island but after being offered help by a Spanish captain, he was arrested and taken on board the Ninfa. While on the way to Cadiz the Ninfa was attacked by the British warship Irresistible. During the battle Thomas Muir was hit by a glancing blow from a cannonball which smashed his left cheekbone and seriously injured both his eyes. For several days Muir's condition was so bad he was expected to die. When the French government heard about what had happened to Muir they tried to persuade the Spanish authorities to release him. The Spanish eventually agreed and Muir arrived in Bordeaux in November 1797. Muir joined up with Tom Paine in Paris where they continued the fight for parliamentary reform in Britain. However, Muir had never fully recovered from the wound he received on the Ninfa and his health began to deteriorate at the end of 1798. Thomas Muir was taken to Chantilly where he died on 26th January, 1799. (1) Charges made against Thomas Muir in August 1793. (1) That he attended meetings at Kirk-in-Tilloch and Milton, of a society for reform, in which he had delivered speeches in which he seditiously endeavoured to represent the government as oppressive and tyrannical. (2) That he exhorted three people residing in Cadder, to buy and read Paine's Rights of Man. 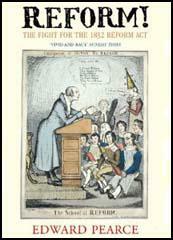 (3) That he circulated the work of Thomas Paine, A Declaration of Rights, to the friends of reform in Paisley. (2) Lord Braxfield explained why he had to sentence Thomas Muir and the other leaders of the Convention in Edinburgh to be transported to Australia for fourteen years. The British constitution is the best that ever was since the creation of the world, and it is not possible to make it better. Yet Mr. Muir has gone among the ignorant country people and told them Parliamentary Reform was absolutely necessary for preserving their liberty. (3) Thomas Muir, speech made at his trial on 30th August 1793. What has been my crime? Not the lending to a relation of mine a copy of Mr Paine's work; not the giving away a few copies of an innocent and constitutional publication; but for having dared to be a strenuous and active advocate for an equal representation of the people, in the House of the people. (4) Thomas Muir, writing to the London Corresponding Society from prison on 24th April, 1794. The spirit of freedom is not extinguished, but still remains its formal energy, in defiance of the artifices and the violence of despotism. Engaged in the sacred cause of Man, individual man is an atom of little value and when he recollects and contemplates the principles of his conduct, should disdain to use the term suffering. Without a vain affection for myself, I disdain the assumption of extraordinary merit. The man who has acted in obedience to the law of his conscience, has simply discharged his duty.